At last, a headset solution that fits with the way you like to work. 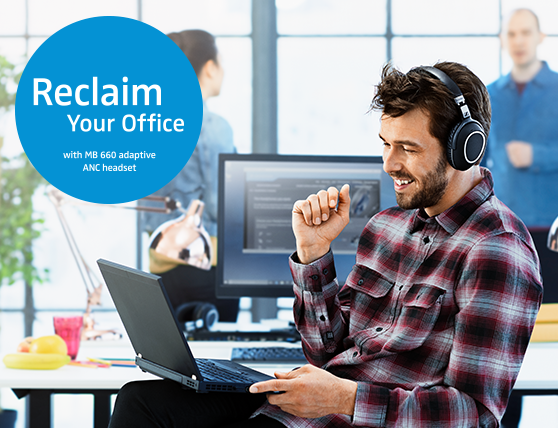 With the MB 660’s unique, innovative adaptive approach to noise cancellation you can focus on your work and be productive - while still being in touch with your surroundings. With the MB 660’s unique and innovative adaptive ANC technology, you are able to take control and stay focused – while still being in touch with your surroundings. Create your own sound with a choice of sound effect modes, to get the best personalized sound for speech, music and entertainment. The MB 660 delivers stereo audio, and CD-quality streaming with aptX® in Sennheiser’s renowned high-quality, for your ultimate sound experience. Sennheiser MB 660 is the industry’s first professional adaptive ANC headset. By constantly monitoring your background environment for noise, Sennheiser’s NoiseGard™ adaptive ANC technology seamlessly adjusts the level of noise reduction in your headset. 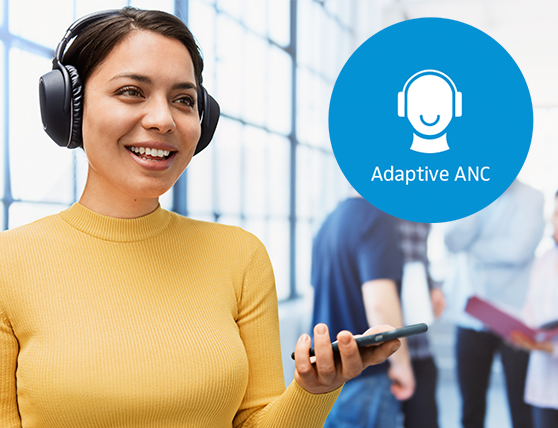 This unique technology enables you to take control of your office environment, so you can have a productive, disruption-free workspace - without the feeling of isolation associated with standard ANC. We haven’t compromised on a single detail with the MB 660 series. 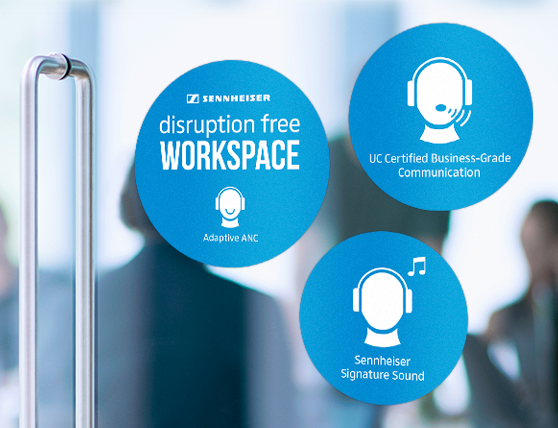 In addition to taking noise cancellation to the next level and delivering the renowned Sennheiser signature sound, the MB 660 Series has been designed to be the ultimate business tool for maximizing your productivity. Business-grade communication voice clarity is key to success in every organization. 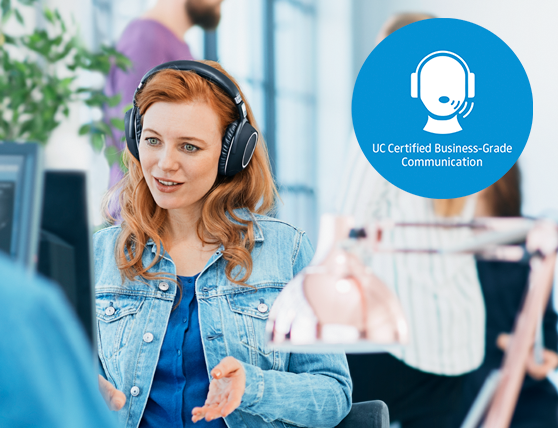 The MB 660 and USB dongle BTD 800 deliver a certified, business-grade communication experience, whichever your UC environment might be. Enjoy CD quality streaming with aptX® when you need to relax between jobs or while you’re on the move. You can also create your own sound with a choice of sound effect modes (Club, Movie, Speech, Director) to get the best personalized sound for speech, music and entertainment. 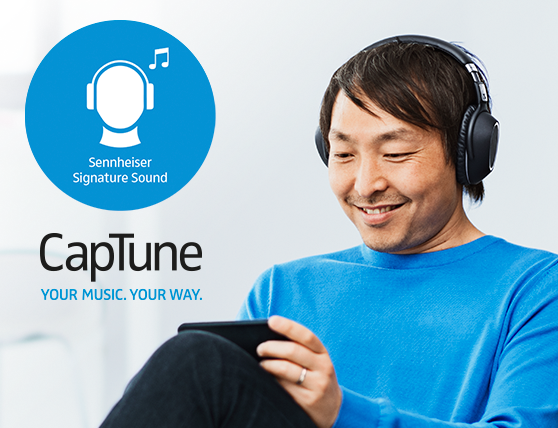 With the CapTune™ App, you can personalize and customize your audio profile and even adjust the level of noise cancellation to suit your individual needs. 젠하이저 고유의 스픽포커스 기술은 3대의 디지털 마이크로 상대방에게 더욱 선명하고 깨끗한 사운드를 전송해줍니다. 소음이 많은 사무실에서도 언제나 원활한 통신을 경험할 수 있습니다. 어드밴스 온-보이스-디텍터 기술은 대화 중인 사용자의 음성을 감지하면 주변 소음을 감소시키고 음성을 명료하게 전달해줍니다. 음성이 감지되지 않을 때에는 키보드나 종이 부스럭거리는 소리와 같은 배경 소음을 서서히 감소시켜 더욱 명료한 통신을 보장해 줍니다. 소음이 많은 실외에서도 명료한 통신이 가능합니다. 원드세이프 기술은 바람소리를 감소시켜 상대방에게 깨끗한 사운드만 전달해 줍니다. 룸 익스피어런스 기술은 사용자의 머리 부분에서 사운드를 내보내 상대방과 같은 공간에 있는 듯한 느낌을 제공합니다. 현실과 같은 자연스러운 사운드를 제공하기 때문에 편안하게 통화를 할 수 있습니다. 젠하이저의 토크스루 기술을 사용하면 헤드셋을 벗지 않고도 동료의 말을 듣거나 비행기/기차의 안내 방송을 들을 수 있습니다. MB 660 UC는 최대 30시간의 배터리 시간을 제공합니다. 배터리가 방전되어도 함께 제공되는 오디오 케이블로 헤드셋을 계속 사용할 수 있습니다. 이어 컵을 돌려 간단하게 켜고 끌 수 있으며, 접이식 디자인으로 간단하게 보관할 수 있습니다.